Philip Hoy was born in London in 1952, and educated at the Universities of York and Leeds. He has a Ph.D in Philosophy, a subject he taught most recently for the University of Oxford’s Department for Continuing Education. Prior to founding The Waywiser Press, he co-founded (with Peter Dale and Ian Hamilton) Between The Lines, now an imprint of Waywiser, which is devoted to publishing book-length interviews with contemporary poets. 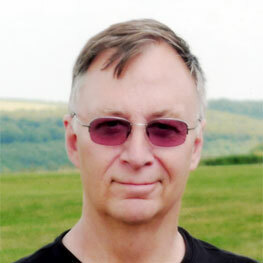 His most recent publication is “The Transatlantic Disconnect”, which is a modified version of the paper he delivered at the AWP conference in Boston, Massachusetts in March 2013, where his fellow panellists were Adam Kirsch, Eric McHenry, Mary Jo Salter and Rosanna Warren (The Warwick Review, September 2013). Previous publications include W.D. Snodgrass in Conversation with Philip Hoy (Between The Lines, London, 1998), Anthony Hecht in Conversation with Philip Hoy (Between The Lines, London, 1999, 2001), and Donald Justice in Conversation with Philip Hoy (Between The Lines, London, 2001). A fine press edition of Anthony’s Hecht’s last poems, Interior Skies, for which Hoy has written the foreword, was recently published by Liv Rockefeller and Kenneth Shure’s Two Ponds Press. Hoy is currently editing a selection of Hecht’s extensive correspondence with the architectural historian William MacDonald, which is due for publication in 2017.